Costs and benefits of riparian zone plantings on New Zealand diary farms. Ink on paper, coloured digitally, labelled. 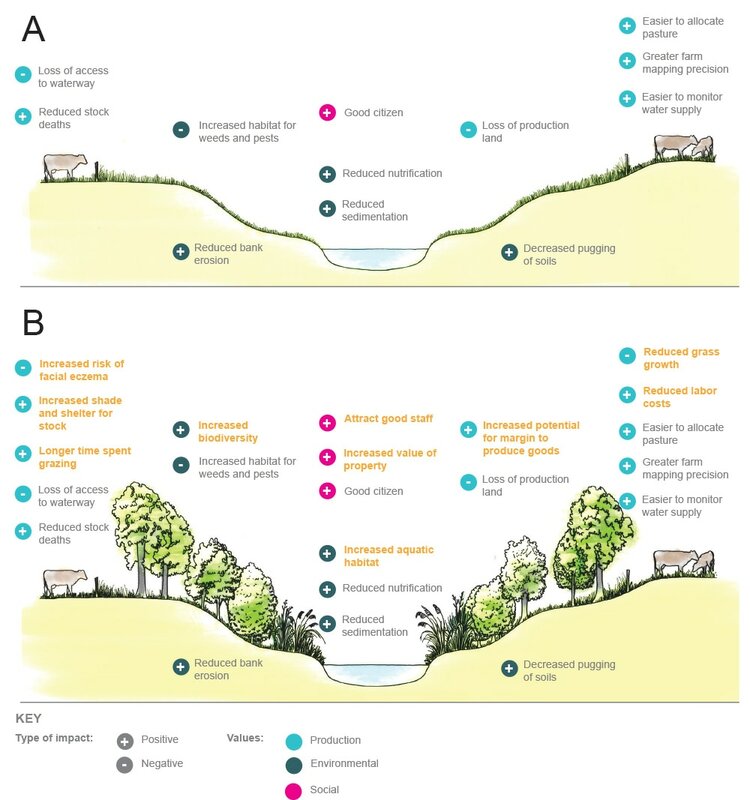 Two drawings of riparian zone plantings on New Zealand dairy farms, assembled into a single figure.